After school my kids come home famished. I get it. School is hard and hey lunch was almost 3 hours ago. Sooooo during homework they like something. 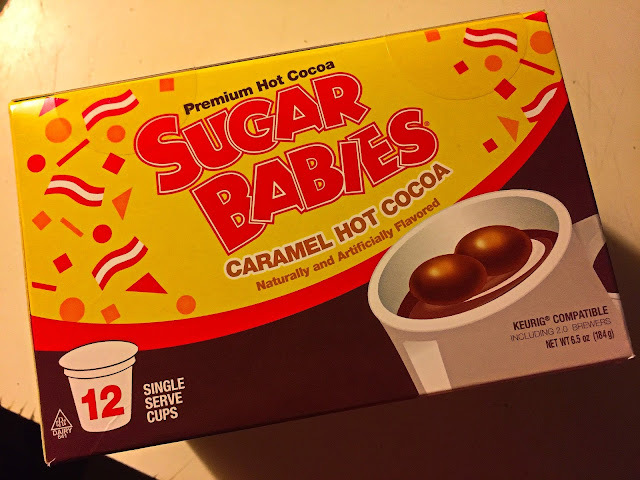 Just a little something to take the edge off and keep them at the table doing tons of homework before dinner. 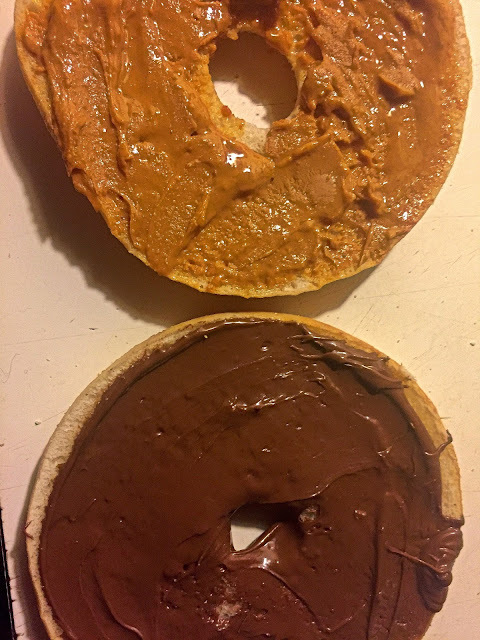 My kids are allergic to peanuts so tossing a PB&J at them doesn't work but sandwiches are so easy. Soo....in comes Nocciolata Dairy Free. Nocciolata is a Hazelnut spread made with organic ingredients. 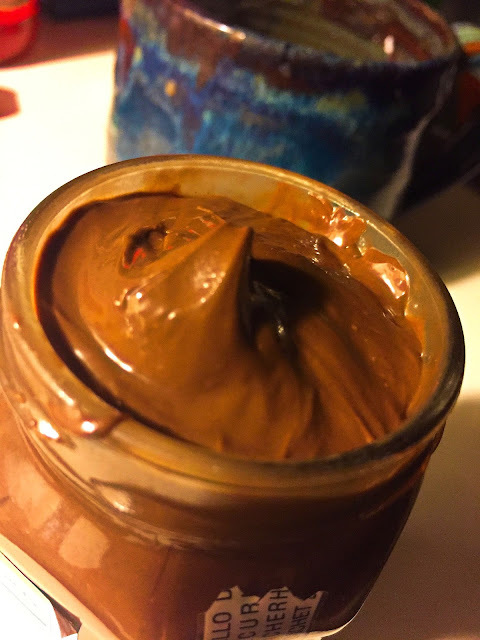 Made of Italian hazelnuts (16%), brown sugar, skim milk and Bourbon vanilla extract it is amazing on toast, bread, crackers or even in recipes like the ones below. 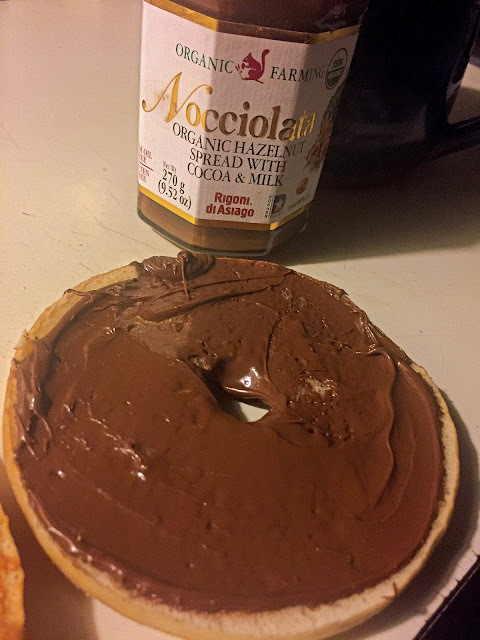 My daughter's favorite is a bagel with half Nocciolata and half Almond Butter. Preheat oven to 350°F. Spray 9 or 8-inch pie dish with nonstick spray. Set aside. Grind up gingersnap cookies into a fine crumb. Mix with melted butter, and sugar. Press into bottom of prepared pie dish and about halfway up the sides. Bake crust for 10 minutes and cool slightly. In a large bowl, whisk the eggs. Add the remaining ingredients (except for the Nocciolata) and stir to combine. Pour the mixture into pie crust. 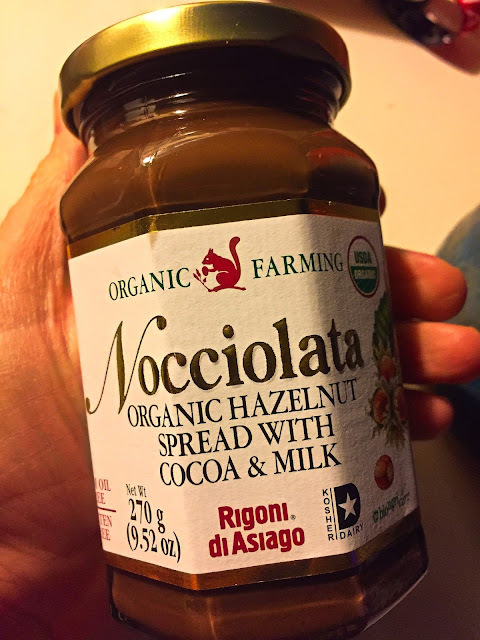 Drop spoonfuls of warmed Nocciolata onto pie and swirl gently with a knife. 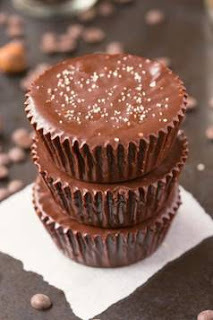 Bake at 350°F for 40-45 minutes or until the filling is set. The center will still look wet but will not jiggle too much. 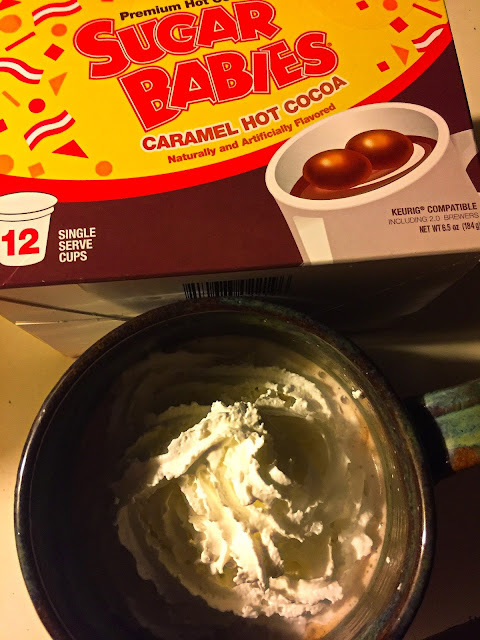 Allow to cool completely and serve at room temperature. These recipes sound amazing! 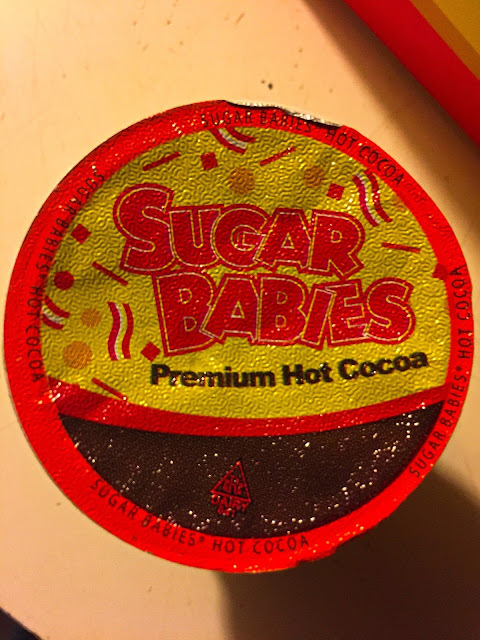 AND....to wash our snack down today we had Sugar Babies Caramel Hot Chocolate.